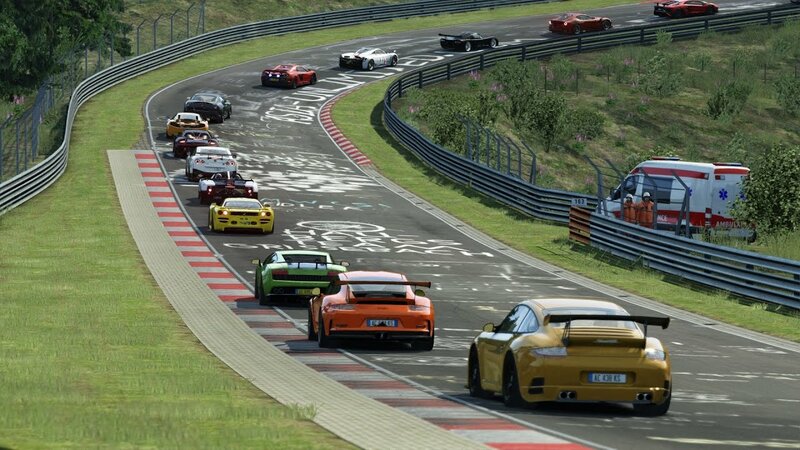 Are you looking for a low ping UK Nordschleife track day server? Look no further! We’re proud to announce our very own Porsche track day server for you lucky PC guys and gals. The server features the very best vehicles from the Porsche Pack offerings including the mighty Porsche 918 Spyder and the classic Porsche 962c. The cars available will change from time to time so please let us know if you are having problems finding a free vehicle slot or would like to suggest alternatives cars. I don’t have the Porsche Pack!?! If you’re missing the Porsche Pack or any other pack then head on over to G2A’s website using this link G2A. Please take the time to subscribe and dish out the likes! The server doesn’t require any mods or packs other than the Porsche Pack. We do however suggest that you install the Fonsecker sound packs available over at the Race Department Website. These packs greatly increase the audio quality of the cars, especially the Porsches. They absolutely sing! The one thing that completes the Assetto Corsa experience is a “proper” wheel. You can pay huge amounts of money for an offering from Fanatec but if you’re looking for a decent entry level wheel at a great price then check out the Logitec G920 and G92. The G290 is compatible with PC and Xbox One whilst the G29 supports PC and PS4. Head over to Amazon for a great price and Amazon’s epic after sales support (and returns). I personally use the G290 and find it a great entry level wheel that offers great performance at a reasonable price. We’ll be doing a review very shortly so make sure you head back for that. Enjoy our server and drive safe!